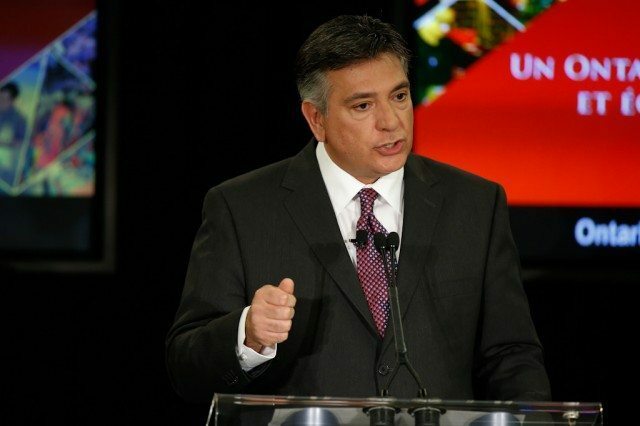 Liberal finance minister Charles Sousa, speaking about the 2013 budget. Every policy proposal comes with unmentioned fingerprints—buried reports or past choices, or in some cases in Ontario, the legacy of Mike Harris. When you take a closer look at many particular policies, you find they are correctives to budgets of yesteryear. Such is the case in the draft Liberal budget, with a series of proposed changes to Ontario Works. On the table are a series of adjustments to the benefit structure of Ontario Works that will increase overall benefits and bring it more closely in line with the Ontario Disability Support Program. They’re the first changes of their kind since the early Harris government, and their impact on Toronto residents will be significant: an estimated 91,800 Ontario Works recipients live in the city. The policy recommendations included in the draft budget aren’t particularly new—they were contained in a 2004 report by then-health minister Deb Matthews. That this is coming nine years later may reflect new premier Kathleen Wynne’s more left-leaning tendencies, and the fact that the minority Liberals will need to secure support for this budget from the NDP if it’s to pass, and they are to stay in power. Ontario Works and ODSP recipients can now keep their first $200 of earned income each month, before the social assistance benefits they receive get scaled back. After that, recipients have benefits reduced at a rate of 50 cents for each dollar they earn. Under the old policy, if a single adult earned $400 of income in a given month, the $606 maximum total they could receive from Ontario Works would be reduced by $200 (50 cents on each earned dollar); that recipient would wind up with $806 for the month. Under the new policy, the same individual would have their first $200 exempt, meaning they would only see their benefits reduced by $100, and take home $906 in that month. The cost of this change is projected to be $65 million a year. Put another way, this change is an effective increase in Ontario Works funding for anyone on OW who earns a small amount of income, and creates an incentive for recipients to get a foothold in the workplace. Ontario Works recipients who are self-employed will now have their earnings treated the same way as those who are not. Currently people who are self-employed see every dollar they earn reduce their social assistance benefits by an equal amount—not 50 cents on the dollar, as described above, but a dollar-for-dollar reduction. This policy dates back to the early Harris years, when that government was concerned that self-employed residents wouldn’t be honest when they reported their earnings; they essentially legislated a prediction that these residents would only tell the government about half their income. However, with the increase in freelance, casual, and contract work, this policy will finally be changed. Instead of treating self-employed residents with suspicion, they too will see their social assistance benefits reduced at a rate of 50 cents for every dollar earned. The asset limits for individuals on Ontario Works will increase from $606 to $2,500 for individuals, and from $1,043 to $5,000 for couples. One big problem with Ontario Works is that its restrictive structure makes it difficult for anyone to climb out of poverty while relying on its benefits. By limiting liquid assets (including cash, bank deposits, and RRSPs) to only $606 for single adults, Ontario Works guarantees its recipients live on a week-to-week budget and cannot save for larger expenditures (like a security deposit on an apartment). The increase is designed to give OW recipients more flexibility in saving and planning ahead. The cost of this change is projected to be $11 million annually.